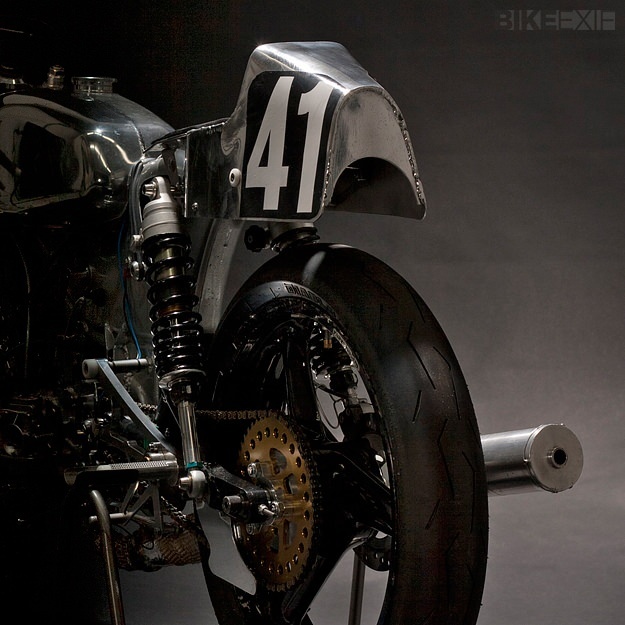 There’s a beauty in the stripped-down aesthetics of a pure racing motorcycle. Especially one hewn from metal, and unadorned with dayglo sponsor logos. This circa-1980 Kreidler RMC belongs to Dutchman Edwin Sweers, who bought it when he turned 16 years old in 1985. 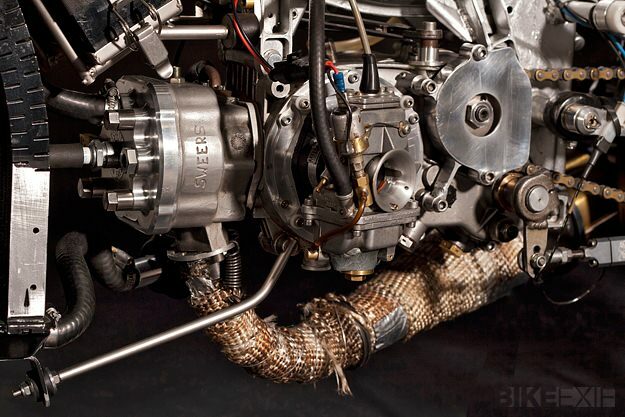 It now puts out an extraordinary 19 hp at 13,500 rpm: the equivalent of a liter-bike putting out almost 400 hp. 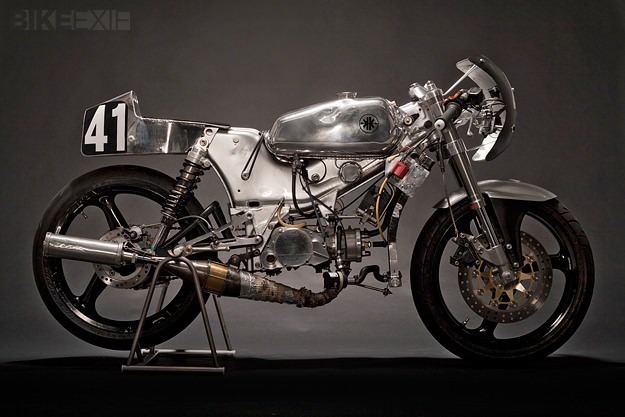 Sweers used his German-made Kreidler on the road for a couple of years before preparing it for the Dutch 50cc road racing class. 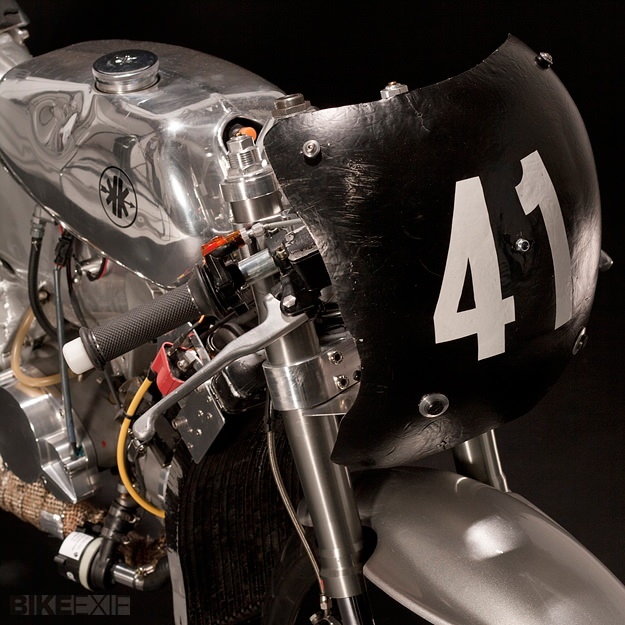 By 2010, the bike was scoring class wins. “Two stroke tuning turned out to be an endless occupation for me,” he says. 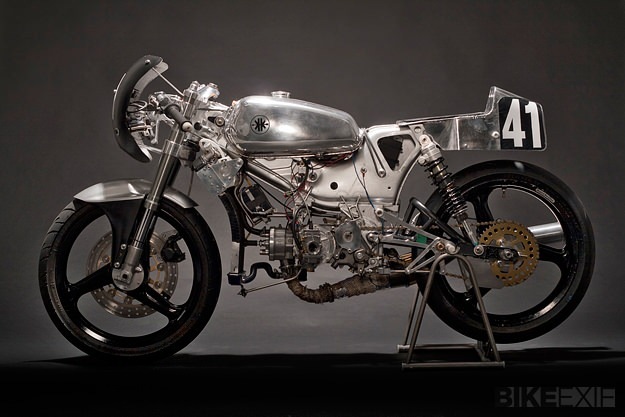 “But the chassis was never able to match the modern bikes in its class—it fails on stiffness.” On this highly tuned machine, now retired, the wheels and front suspension are from a Honda RS125 and the rear suspension is from Öhlins. Kreidler did not change their crankcases or the steel-plate frame after 1972, and those are now the only unmolested parts still in use on the bike. 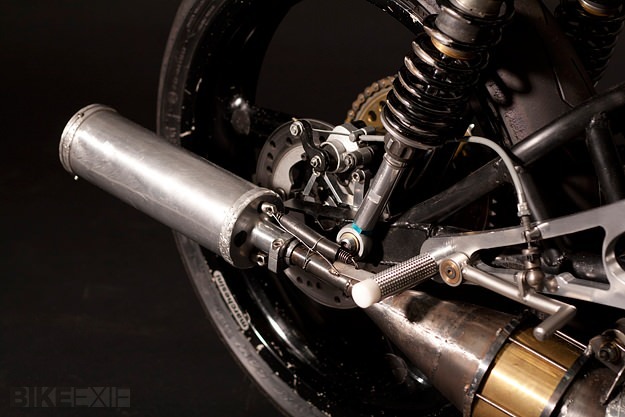 The crankcases have been welded up and machined to take a 6-speed gearbox, and the water-cooled cylinder is from a modern Derbi. A programmable ignition system also controls the speed shifter. Sweers has built a custom exhaust system from five separate sections, which he can modify to test for maximum performance.